This isn't the first time Tesla's AI veered off course. Even worse, this problem isn’t new. Tesla drivers have been recording this particular Autopilot behavior for months — Ars Technica provided a timeline of concerned drivers whose Teslas had driven toward highway dividers as far back as last April. Ars Technica reached out to Tesla for comment, but did not hear back as of March 22, when it ran its story about the Autopilot errors. 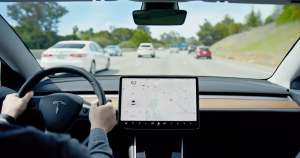 In the past, a number of car crashes have been chalked up to Tesla drivers not understanding the limitations of the optimistically-titled Autopilot mode. Given the prevalence of this dangerous bug, drivers would be wise to be more cautious than ever before letting their semi-autonomous vehicles take the wheel.